Drawing on the singular talents of vocalist and producer Lorenzo Esposito Fornasari (Berserk!, Obake), innovative guitarist Carmelo Pipitone (Marta sui Tubi) and internationally renowned musicians Pat Mastelotto (King Crimson) and Colin Edwin (Porcupine Tree) O.R.k. is an intriguing collaborative album which defies easy categorization yet remains gratifyingly accessible. Debut album “Inflamed rides” fuses primordial energy with playful acoustic psychedelia and precise math rock, but with an added seasoning of intense ambient electronica. 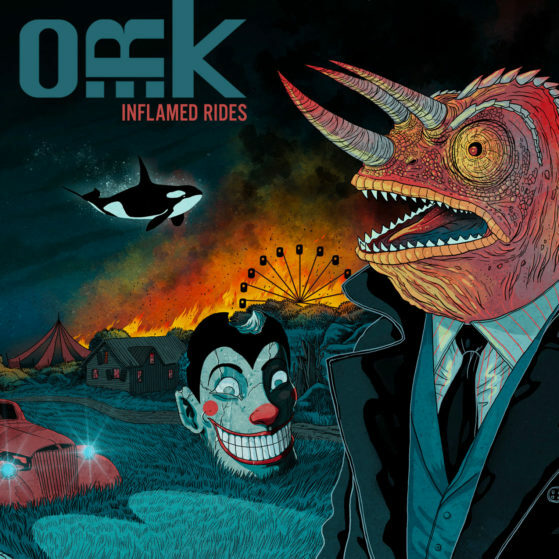 Across the ten tracks, O.R.k illuminate a deep subconscious landscape, rich with controlled chaos and populated with archetypal forms and characters. Highlights include the mezmerising ‘Pyre’, accompanied by a stunning animated video from Oktopus Productions and the jarring urgency of “Funfair” which promises entertaining rides in the most intimidating manner. 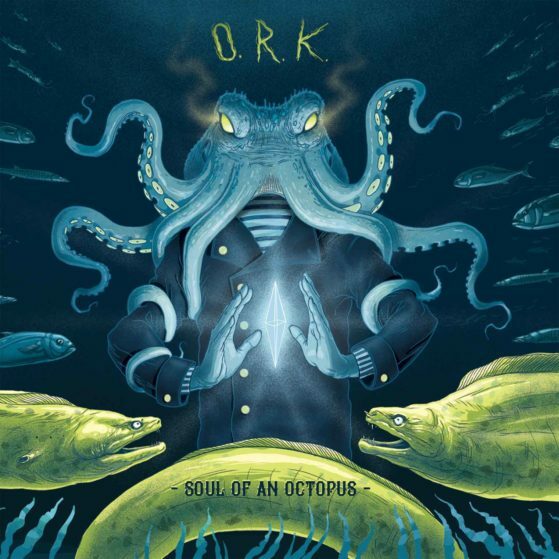 Imposing, but also encompassing a hypnotic, powerful beauty, O.R.k. is a forward thinking, mischievous slap around the head of complacency, and a captivating listen from start to finish.